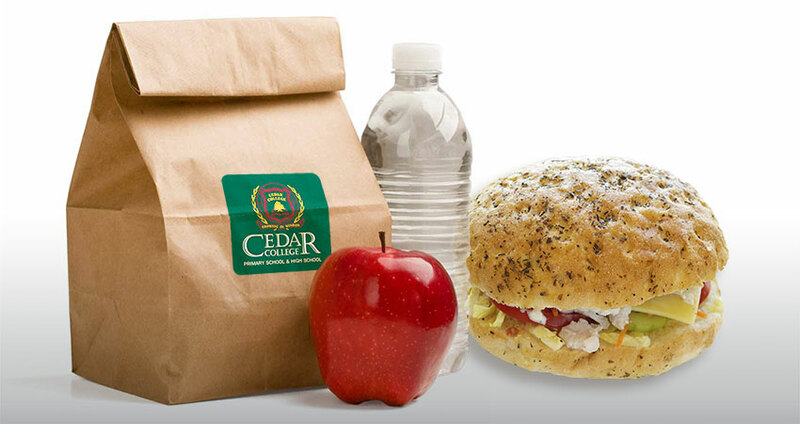 The Cedar College Canteen is open for Recess every day, and for Lunch orders on Monday, Wednesday and Friday – orders must be submitted before 9am on the day required. Please note that there are certain days throughout the year when the Canteen may be closed or have a reduced menu due to specific school activities. Lunch orders are taken through the Qkr! App by MasterCard, which is available to download onto your smartphone for free: Qkr! for iPhone or Qkr! for Android or from your computer using our Canteen online lunch order page. This is a quick, convenient way for parents to order lunches without worrying about cash, change or students losing money at school. Lunch orders must be submitted before 9am on the day when the lunch order is required. Lunches can be pre-ordered up to 2 weeks in advance through the Qkr! App. The current Canteen price list is displayed on the Qkr! App, and is also available for download from the document list on this page. Can I only use a MasterCard with the Qkr! App? The Qkr! App accepts most major credit cards including VISA or MasterCard. You can also use a VISA Debit or MasterCard Debit card with the App. You can use your Internet-connected computer to place your order – it’s just as easy! Click here to view the Cedar College Qkr! Quick Start Guide. The Qkr! App which is available to download free on your iPhone or Android phone: Qkr! for iPhone or Qkr! for Android. Select your country as Australia, and follow the steps on the App to register. You can search for nearby schools if you’re within 4km of Cedar, or you can manually search for Cedar College. You can also scan the school QR code on the instruction sheet. When you first access the Canteen menu, you’ll be prompted to register each child with the App, so that you can order on their behalf. You’ll need to add their name, Year level and Class. You can also add a photo if you like. First select the day which you’d like the lunch order for. If you are ordering for multiple children, select the first child, then browse the Canteen menu to select food and drink items for that child. Repeat for each child you are ordering for. You’ll need to add in the details of your Debit or Credit card, the first time you use it on the Qkr! App. For future purchases you can simply swipe to pay. Your order(s) will then be sent to the Cedar Canteen, where they will be prepared and delivered at lunch time to your child.